One of the most famous airship's of it's time. 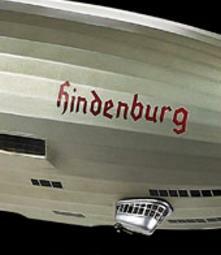 This wood and cloth model of the 1937 Zeppelin named Hindenburg. 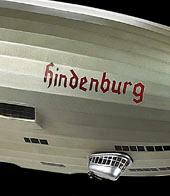 The Hindenburg holds the distinction of being the largest aircraft ever to fly. A truly amazing piece of German engineering. This model is made of a silk cloth skin fabric stretched over a lightweight wooden frame, with wood and metal accents. Hand built, with 600 glued joints. Dramatic and historical. Golden age of travel. Please note this item ships Federal Express Oversize. The Shipping weight reflects the size and weight of the package, not the actual weight of the item.